BReMeL, an innovative Hellenic Biotechnology Company (under-establishment) will be based in Thessaloniki, and in full operation will include three Departments: Commercial - Scientific - Educational. We envisage that the achievement of the Company's goals concerning the production of Biopharmaceuticals and Products of Regenerative Medicine has in the long term the potential of changing the "landscape" in the field of the Greek Pharmaceutical Industry and Medical Biotechnology Research. In the past, BReMeL's existing investment project for the production of three biopharmaceutical raw materials (recombinant insulin, recombinant HBsAg, penicillin) had been selected for funding by the European Program NSRF 2007-2013 with a maximum allowable amount of € 290.000,00, characterized as "extremely dynamic" and its innovation was graded with excellent (20/20). a) Development of a new therapeutic strategy for safer and more efficient administration of anti-CD19 CAR T-cells to refractory B-acute lymphoblastic leukemia. b) Generation of a specialized cell line from human Langerhans beta-cells for insulin production. c) Formation of experimental cellular models - disease modeling - by inducing the differentiation of mesenchymal stem cells (MSCs) or induced pluripotent cells (iPSCs), in order to study the pathophysiological mechanisms of incurable diseases such as neurodegenerative diseases, heart diseases, etc. and test new drugs. The Greek Pharmaceutical Industry does not produce any active pharmaceutical ingredients (APIs) at all and only formulates the imported ones. Therefore, the survival of the corresponding domestic drug production depends exclusively on APIs imports from international markets, mostly India and China. (a) APIs in pure form for the production of biopharmaceuticals according to the specifications of the corresponding monographs of the European Pharmacopoeia VIII (Ph.Eur VIII), making use of the "cellular factory" of micro-organisms and the recombinant DNA technology. (b) Regenerative medicine products by applying innovative methods of Cellular and Molecular Biology. For more information on BReMeL you can contact via the contact form, by e-mail or phone. 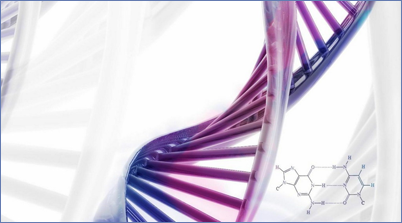 We welcome you to BReMeL's website, a new under-establishment Greek company for the development of biotechnology products for use in medical practice and research. 1ST VIDEO: THE MOST IMPORTANT POINTS OF THE CURRENTLY FOLLOWED STRATEGY TO FIGHT R/R B-ALL WITH ANTI-CD19 CAR T-CELLS (this video will be soon uploaded). 2ND VIDEO: THE DoLeBI ♦ STRATEGY, AN INNOVATIVE APPROACH FOR THERAPY OF R/R B-ALL WITH ANTI-CD19 CAR T-CELLS (this video will be uploaded few weeks after the 1st one, when a patent priority date will be declared). 1. Essential reduction in intensity and/or abolishment of the serious anti-CD19 CAR T-cell toxicities (CRS-neurotoxicity). 2. Transition of poor prognosis R/R B-ALL of young patients to a non-fatal manageable chronic disease, manifesting mild-intensity short-term and/or no symptoms.